I’m fortunate to be in a job and work in a country where vacation is considered the norm. 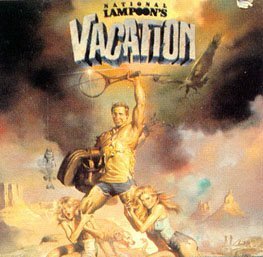 I do notice a trend with vacation though. The first few days I feel like I am just on a long weekend. I tend to plan something during my vacation, like camping, a bike trip, or in the case of this year, my wedding. I have yet to find a vacation where the first week didn’t feel hurried and over too fast. By the time I start to wind down, it’s time to pack up and come home. Then it’s the daunting task of unpacking and laundry! This year I hope it to be a little different. This week is going to be one of the busiest of the year, and possibly the busiest holiday weeks on record. There is so much to do to plan for the big day. Have you ever noticed that by the end of a 2 to 3 week holiday, you always want to go back to work? Why is that? Is it that work is so much a part of our lives that it feels good to get back to that daily habit? Or is it that we tend to miss our loved ones when we are at work, yet being around them 24/7 can drive us insane? lol. Do you get holidays at your job? Do holidays relax you, or stress you out? Previous PostPrevious Bad Brains. Banned in DC.